Here, we pick out the best free MP4 cutter for Windows 10 in 2017 helping you cut MP4 video for resizing or trimming segment on Windows 10 with ease. Although WinX Video Converter is initially designed as free video converter software for Windows, it embeds a video editor allowing users to apply basic editing to video clips in any format. In the following, we will review WinX Video Converter in aspects of features, user experience and security to explain why it is rated as the best free MP4 video cutter for Windows 10. What Can WinX Video Converter Do for Cutting MP4? WinX Video Converter allows users to add a MP4 video and cut it by customizing start and end time. You can trim the head and end of a movie or TV episode to reduce MP4 file size and quickly get main contents. You can cut off a particular segment in the middle of a MP4 video to make it as a part of another home-made video. It supports a large range of output profiles. You can not only to set original MP4 format with corresponding codecs (H.264/MPEG4) as output format, but convert MP4 to AVI, MOV, WebM, FLV, 3GP, iPhone, iPad, Android, Windows Mobile, Xbox, Sony PlayStation etc, while keeping almost lossless quality. It gives perfectly preset video/audio parameters for outputs, while capable of modifying the options (like bit rate, frame rate, resolution, aspect ratio and more) for special needs. 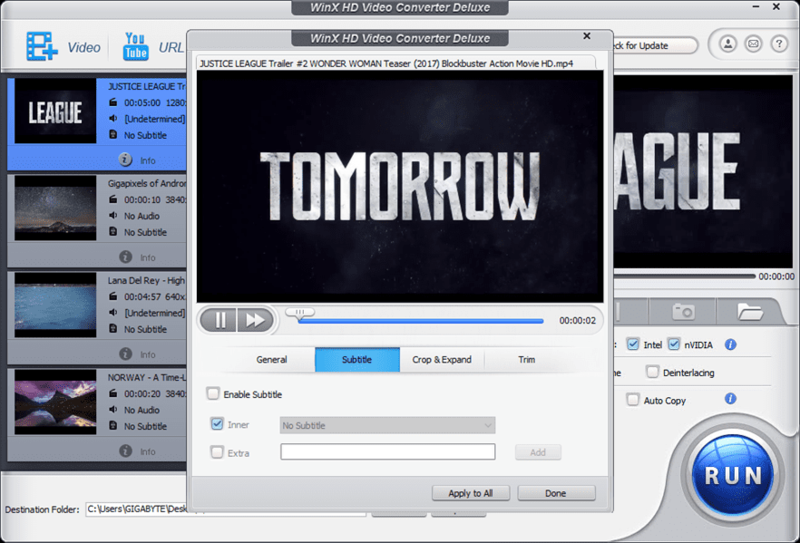 Is WinX Video Converter Easy and Good to Use? WinX Video Converter has a simple but intuitively modern interface which helps users to get it started without guesswork. It can stably run on Windows 10 (64 & 32 bit) and lower versions without not working, video audio not syncing or other unknown issues. It delivers an ultimately fast speed to transcode a trimmed MP4 video to other formats or devices owing to the support of Hardware acceleration (Intel QSV, Nvidia CUDA/NVENC) plus Hyper-threading Tech and Multi-core utility. Is WinX Video Converter Safe to Download? Compared with some free MP4 cutter for Windows 10 bundled with useless or even dangerous software/plug-ins, WinX Video Converter is totally stand-alone and safe; no 3-rd party software, no virus and no Trojan. It gives green download and clean installation with no harm to your computer. FREE DOWNLOAD WinX Video Converter on your Windows 10 PC. After getting .exe file, double click it to install this best free Windows 10 MP4 cutter. 1. Launch WinX Video Converter. Click +Video button to import MP4 video. 2. Once the video is added, an Output Profile dialogue pops up. To keep the MP4 file in original format, select MP4 Video (codec: h264+aacc/mpeg4+mp3) from PC General Video category as output format. Otherwise, pick desired format or device profile. After that, click OK.
3. Click Edit button to access to the window for video editing. Move to Trim tab. Check Enable Trim option. Drag indicators on process bar under preview window or manually input specific hour/minute/second to set start/end time. Next, click Apply to All. 4. Click Browse button to set a destination folder for saving the cut video if necessary. At last, Click RUN button to extract the cut part from MP4 video. Windows 10 indicates arrival of a brand-new generation of Windows OS. It brings several fantastic features making Windows more intelligent. On the other hand, it dismisses some favorable tools included in previous versions, for example Windows Movie Maker. In fact, as a part of Windows Essential 2012, Windows Movie Maker was available for Windows 10 until January 10, 2017, when Microsoft announced ending support and download service for this Windows essential tools package, but no official replacement is pushed out. How can we create and edit videos on Windows 10? 2017 Top 5 Windows Movie Maker alternatives introduced here can completely satisfy you! A diverse of movie making and video editing software are stuffed into the market toughening the task to dig out an excellent alternative to Windows Movie Maker for Windows 10. Through a careful evaluation, we list following top five replacements which are suitable for different users ranging from rookies to veterans. Are you wondering why a video converter can be Windows Movie Maker alternative? WinX HD Video Converter Deluxe not only works as a format changer, but a photo slideshow maker and video editor. • It allows users to create a video from a series of photos from wedding, birthday party, graduation ceremony etc, and embeds matched background music. Photo order can be sorted by data and file name ascendingly or descendingly. Interval time is set as 4 seconds by default, while other options (2/6/8) can be chosen. • It offers basic video editing tools helping users crop, trim and join video clips. External subtitles (.srt) can be easily added to videos. If you are the one who have better knowledge on video, you can adjust parameters, like video bit rate, frame rate, aspect ratio, resolution and audio bit rate, sample rate, channel to make the resulting file fitter to your devices. Brief Review: It is highly recommended to novices who are seeking for an easy-to-use Windows Movie Maker alternative for Windows 10. Although it doesn’t provide more advanced and complex effects for video editing, it gives essential tools for us to make a photo slideshow and edit video hassle-free. What’s more, built-in 300+ video/audio codecs enable you to output video in any format for Windows, Mac, Web and portable devices. 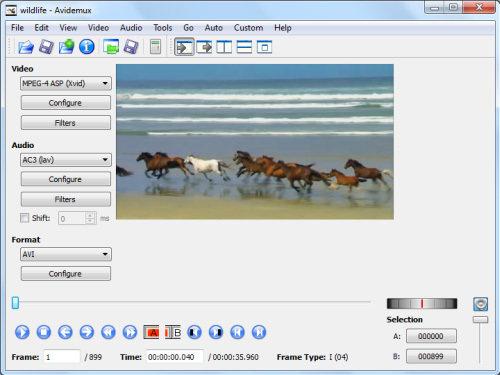 Avidemux is a famed free and open-source non-liner video editor for Windows, OS X, Linux and BSD. It focuses on helping users complete video editing and encoding tasks. • Avidemux has a Filters library helping user resize/crop/split/rotate/join videos and apply various visual effects (colors, noise, sharpness, fade etc.) to videos. It allows users to insert subtitle and audio streams into video, and extract audio from video files. • Taking advantage of libavcodec library from FFmpeg, Avidemux can decode and encode various video formats, including AVI, FLV, MKV, TS, 3GP, MP4, MOV, WebM, VOB, AAC, MP3 etc. Brief Review: Avidemux takes a rank in top Windows Movie Maker alternative for Windows 10 chart because it is certified as a fast, clean and easy-to-use program which can handle basic video editing/encoding task well. However, some users tell that it doesn’t have an intuitive interface so that they should get a tutorial to learn how to edit a video at first. What’s more, some errors (for example loss of frames, saving incomplete video) may occur when choosing MP4 Muxer as output format. VSDC Free Video Editor has a similar interface to Windows Movie Maker so that it probably turns to be the preferred alternative for users who are very familiar with Windows Movie Maker. This free non-liner video editor supports various formats including HD/4K videos and enables users to capture videos from camera or screen for further editing. • It offers a diverse of visual and audio effects which are divided into five genres, color correction, object transformation, object filters, transition effects and special fx. Color blending modes can be used to change the look of images while Instagram-like filters are prepared for newbies who have no idea about how to adjust parameters to style a video. And, masks can be used to hide, blur or highlight certain elements in video. • It can convert video format for smartphones, tablets, PlayStation, Xbox etc. During conversion, you are allowed to cut unwanted parts, split videos into several segments and merge video clips. And, videos can be directly uploaded to YouTube after editing and conversion. Brief Review: It has more features than above two Windows Movie Maker alternatives to meet more needs on further editing. On the other hands, it is a little complicated. We need a beginner guide at first and explore slowly to get how to use it better. Some unlucky users also encounter not opening or crashing issue when using it. VideoPad Video Editor is a professional video editing program aiming to make video editing and creation much easier. It can handle various videos in different formats (AVI, WMV, MP4, MOV etc.) or capturing from DV camcorder, webcam. • 50+ transitions and visual effects can be founded in this top Windows Movie Maker alternative. Video optimization can be achieved through fine-tuning colors, video stabilization, adjusting clip playback speed and installing plugin to apply more effects on videos. Apart from general videos, VideoPad Video Editor enables you to edit 3D video or transfer 2D to 3D. And, chrome key (green screen) can be created for your video. If you want to give an explanation or annotation on this video, overlay texts can be added. For audios, it enables you to import and mix music tracks as well as apply sound effects. • It embeds video conversion feature to create video for sharing online (YouTube), saving on iPhone, iPad, PSP and other devices and export videos in high definition 1080P HD, 2160P 4K and more. Brief Review: VideoPad Video Editor is announced as the greatest basic video editor due to its ease of use and ample editing tools. It is powerful enough for some users while seemingly a little simple without more advanced options for some others. Sometimes, it gives a slow speed to convert videos and even doesn’t work at all. Adobe Premiere Pro is professional movie making and video editing software with a development of 25 years. It owns numerous customers over the world, from personal users to professional filmmakers. Even some features films (such as Deadpool, Peter’s Dragon) are edited using it. • Adobe Premiere Pro supports a wide range of video formats (like virtual reality/3D/8K videos in native format) and audio codecs. Basic editing tools enable you to trim, rearrange, cut, move and stretch imported video clips in Timeline, add transitions and onscreen titles with text effects (stylization/animation etc.). Advanced options are available to expand your editing skills. Lumetri Color panel can help you adjust colors and apply effects to make video more vivid. Select Audio on this workspace and you can embed soundtrack for your movie as well as add transitions, adjust levels, customize audio effects or use presets. • Premiere Pro is a part of Adobe Creative Cloud. Integrating with other applications in this cloud, for example After Effects, Adobe Stock and more, you can make a more creative and appealing movie. And Adobe CreativeSync can connect everything included in the package across desktop and mobile apps. Brief Review: Adobe Premiere Pro is definitely more powerful than Windows Movie Maker, which can not only do what Windows Movie Maker does, but offers more to get deeper editing. It is the perfect choice for an expert, while an initiate should spend much more time to master its workflow. All above best Windows Movie Maker alternatives work well on Windows 10 and lower versions. Some offer fundamental options while some feature rich tools. Depending on individual needs, select the most appropriate one. iPhoto is a system-attached picture management application for Mac OS X 10.1 to 10.10 which empowers users to import photos from digital cameras, USB drive, hard drive and other storage devices as well as organize, edit and share photos. It is replaced by Photos from OS X Yesomite 10.10.3. The new photo app is easier-to-use simplifying editing tools and integrates iCloud Photo Library for photo syncing from iDevices. Here, we will round up the best 3 iPhoto alternatives for Windows (10) PC in 2016-2017 helping you manage photos with ease. Adobe Photoshop Ligthroom is designed as a professional picture organizer running on Windows and Mac. From version 6.4, it can compatible with Windows 10. And, the latest version 6.7 was available in September 2016 with the support of latest macOS Sierra. Like iPhoto, Adobe Lightroom features viewing, managing and editing pictures in diverse formats, like common PNG, JPG, PSD and even camera raw formats. 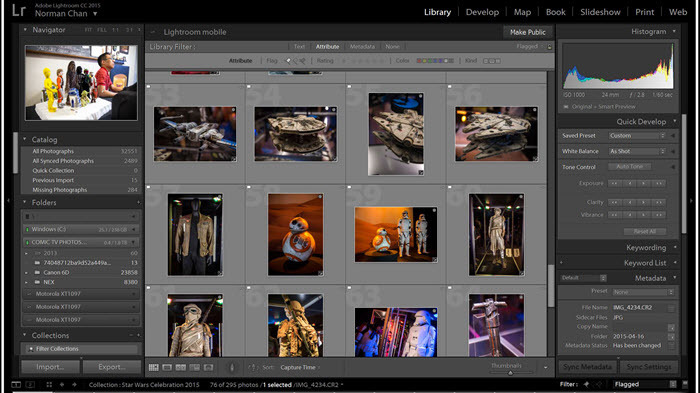 The built-in library is the place for image organization which enables you to import/export images, classify images into collections by metadata and more. If you wanna produce a better-looking photo, please move to Develop module. 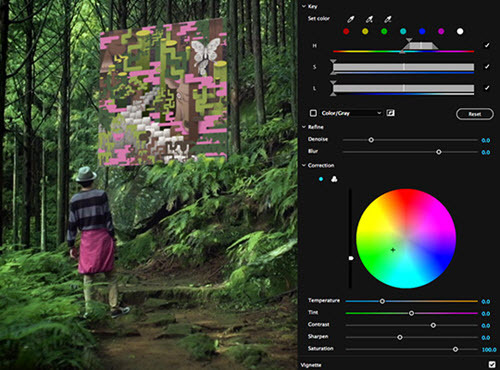 A bunch of tools can help you enhance pictures. Apart from basically cropping and straightening, tonal adjustments such as white balance, color saturation, tonal scale, exposure, clarity, brightness and so on are available. In addition, you can customize sharpness, reduce noise and remove red-eye for your photos. Additionally, it allows you to create photobooks/slideshow, print images and sync photos between your devices with Lightroom mobile app. The abundant features make it top on the iPhoto alternative for Windows list. And, you need to pay $9.99/month for experiencing full version for this image organizer for PC. Unlike desktop software, Google Photos is a cloud-based photo sharing service available on web, iOS/Android devices. It derives from Picasa, which is discontinued developing in March 2016 and the application Picasa Web Albums was retired two months later. Although Google Photos mainly aims to back up photos and help access any photo across various platforms, computer, phone or tablet, it is qualified to be one of the best iPhoto alternatives for Windows because it integrates powerful image organizing and editing tools allowing users to manage uploaded pictures with ease. You can easily import pictures from hard drive or other storage devices to Google Photos and create a new album for gathering picture with same theme (for example travel) together. You are allowed to adjust aspect ratio, crop, rotate pictures, reassign value of light, color, vignette and apply color filters for pictures. Every image can be shared to Google+, Facebook and Twitter. As a web service, Google Photos can be used on computers running on any operation system, Windows, Mac, Linux. It’s completely free to use but turns to be useless without network. Compared with iPhoto and Adobe Photoshop Lightroom, it offers simpler editing functions which probably cannot meet requirements of advanced users. As other iPhoto alternatives for PC, Windows Photo Gallery is a photo manager app collected in Windows Essentials software suite available for Windows 7/8/10. However, a bad news had been announced that Windows Photo Gallery will stop supporting after January 10, 2017. Windows Photo Gallery focuses on photos management and editing. It embeds a photo import tool enabling you to get images off camera onto computer. And the image viewer help you check any picture stored on hard drive or devices connected to computer. Windows Photo Gallery works great on photo tagging and allows you to add titles, rating and captions in order to get better organized images. Apart from basic editing functions, like resizing, cropping, ratting, red-eye reduction, it can help adjust exposure, shadows, highlight, sharpness as well as remove blemish and reduce noise for pictures. It also gives you an opportunity to share pretty photos to OneDrive, Flickr and Facebook. 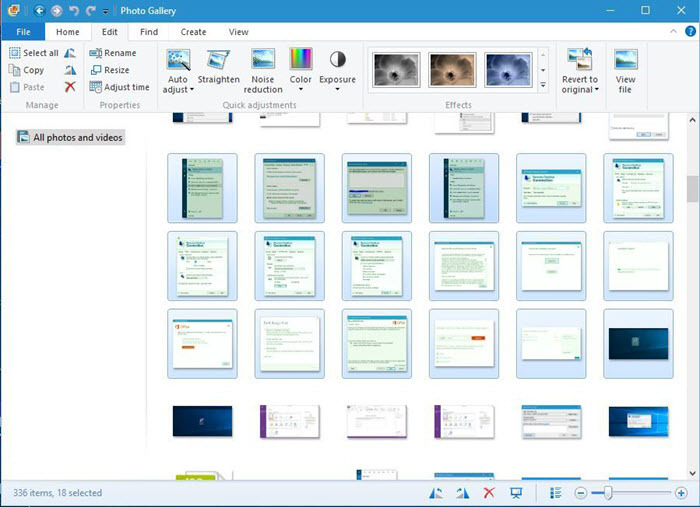 Windows Photo Gallery supports many photo formats, JPEG, PNG, BMP, Gif etc, but cannot handle camera raw files. 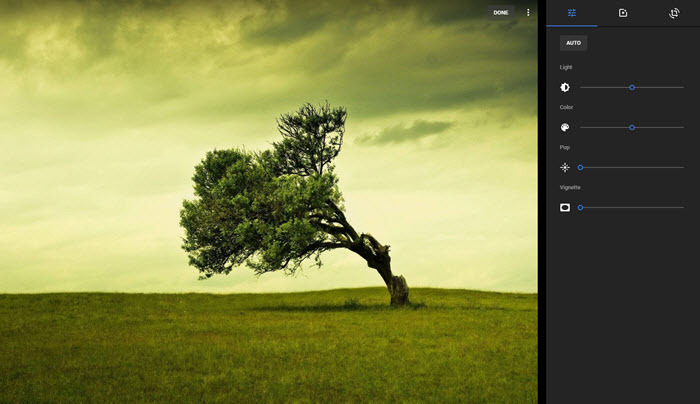 Windows Photo Gallery is free for download on Windows PC. General users can be satisfied with basic editing and sharing options while some users still hope more improvements on effects. Tip: Windows 10 pushed out Photos app available to view, import, edit and sync images which can be a replacement of Windows Photo Gallery after the retirement. Bootom Line: All above top 3 iPhoto alternatives for Windows (10) can help you achieve photo organization and adjustment on PC. Adobe Photoshop Lightroom boasts rich editing functions while Google Photos shows an efficient solution for photo syncing. And, Windows Photo Gallery is seemingly the preferred choice for a beginner. Depending on your needs, choose the best one for you! – I restarted my computer twice and it still would not play my DVD. It keeps giving me an error message. – It reads some DVD but others it says it cannot decode them. Windows NEEDS to debug this app. – Can’t rewind or fast forward otherwise the speed gets out of sync and it won’t go back to normal play mode. If you have a bad experience with Windows DVD Player, why not try the following solutions to escape from “DVD won’t play on Windows 10” problem. Windows Media Player 12 still works well on Windows 10, capable of playing traditional Windows supported formats (WMV, AVI) and new added codecs, MP4, MOV, M2TS. If your DVD won’t play on Windows 10, you can opt for ripping DVD to file types acceptable by Windows Media Player. A plenty of Windows 10 DVD players gather in the market. Some of them are recognized as the best Windows DVD Player alternatives not only because they can easily solve “Windows 10 won’t play DVD” problem but empower you to watch DVD on Windows 10 for FREE. 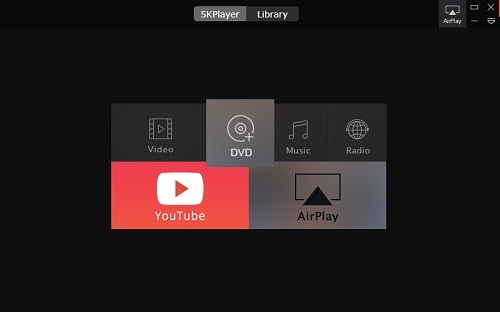 5KPlayer is a favored DVD player worthy our recommendation. It is designed as a multi-platform media player available to play DVDs, videos, audios on Windows (10) and Mac. It can bypass region codes to play a European DVD in United States and support all copy-protected DVDs with removal of CSS, RCE, Sony ArccOS, Disney DRM etc. In addition, it can keep DVD video quality originally without compression. Furthermore, it works as a video downloader allowing you free download movies, TV shows, music videos, sports etc, from 300+ sites and an AirPlay receiver/sender to stream videos, music from iPhone, iPad, iPod to Windows, Mac computer with larger screen. 5KPlayer is verified as 100% clean and safe bundled no adware, malware or virus. • If DVD drive shows up in Device Manager but with a yellow exclamation mark or red x symbol, you need to reinstall the driver. Open Device Manager by directly searching it with search box on the taskbar. Expand DVD/CD-ROM drivers and right-click DVD device to select Uninstall. Click OK on pop-up box. Restart computer and the DVD drive will be reinstalled automatically. • If you don’t find DVD drive in Device Manager, you may have gotten a cable connection error or broken DVD drive. Please check if the DVD drive cables are probably connected. If no, re-connect securely and properly. If yes, you may need to replace the probably bad drive with a new one.